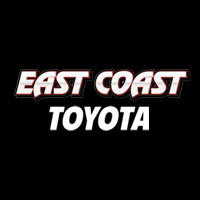 Located in Northern New Jersey, the finance team at East Coast Toyota is here to help with your car loan needs. Our auto financing department is located within our Toyota Dealership in Wood Ridge, NJ, serving the North Jersey areas of Hackensack, Union City and Bergen County. Through our expanded auto financing provider network, our team can offer quick loan approvals and impressive low rates. If you’re looking for a new, used or certified pre-owned Toyota vehicle in the Wood Ridge area, the finance department at East Coast Toyota is here to help you get started, and get driving! To save time during your car-buying experience, consider filling out the online financing application before coming in. Getting pre-approved will get the financing process started, not to mention save you time on paperwork in our sales department. When you fill out our finance application, there is no obligation to buy. We just want to help you save time! That means more time to browse vehicles, go for a test drive, or spend time exploring the newest features of our Toyotas on the lot. Upon pre-approval, come by the dealership located at 85 State Hwy 17 in Wood Ridge, NJ to start looking for the car, truck or SUV of your dreams. Contact us with any questions regarding the online finance application, or just let us know you’re stopping by! If you’re planning to trade-in an older vehicle, our Value Your Trade tool can give you a great evaluation of what your trade is worth. Upon submitting your trade information, a member of our staff will reach out to you via email or phone with an estimate. Use our Payment Calculator tool for an estimate of what type of payments you can expect based on vehicle price, down payment, interest rates, and loan term. Easily see how increasing or decreasing your down payment will adjust your monthly payments. Please note that for the most accurate estimate, you’ll need to be pre-approved and contact our finance department for the latest available interest rates. If you have questions about current interest rates, payment estimates or leasing options, contact our finance team today. Protect your Toyota beyond the factory warranty with a Toyota Extra Care Warranty. Many options available to meet your needs. We’ll help you by saving you 20% off the purchase price with this coupon.